Question: My doctor has suggested certain permanent restrictions due to my work related injuries. I am now looking for a different job. Do I have to disclose these permanent restrictions to potential new employers. If you would like to schedule a initial consultation contact an Kansas workers' compensation attorney, representing clients in Leawood at McCullough, Wareheim & LaBunker, P.A. Give us a call at (785) 233-2362 or complete our inquiry form. No. The Americans with Disabilities Act makes it illegal for an employer to ask you about medical conditions or permanent work restrictions. 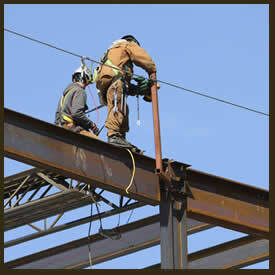 They can only explain the physical requirements of the job and then ask if you are able to perform these duties. The employer can also send you for a post-offer, pre-employment physical examination. On behalf of McCULLOUGH, WAREHEIM & LaBUNKER, P.A. we hope this material will be of benefit to you in answering your questions relative to work-related injuries. This material is a part of an ongoing commitment by McCULLOUGH, WAREHEIM & LaBUNKER, P.A. to unions, their members, and injured workers in the State of Kansas.Contact one of our Kansas work injury lawyers representing clients in Leawood, Kansas (and throughout the State of Kansas) today to schedule your initial consultation.